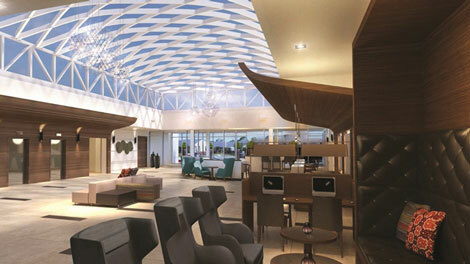 Hilton Worldwide has expanded its portfolio in Poland with the opening of a Doubletree hotel in Krakow. Doubletree by Hilton Krakow Hotel & Convention Center contains 232 rooms, including 30 executive rooms, 14 suites and what Hilton claims is the largest presidential suite in Krakow at 184 sqm. The opening marks the completion of Hilton’s only dual-branded property in Poland, joining Hampton by Hilton Krakow, which opened in May. Located near the Krakow Arena Hall and the Expo Krakow Fair Trade Center, the hotel offers a shuttle service to the city centre, airport, train station and various tourist destinations. Facilities include two dining options, offering Mediterranean and European cuisine, four bars, 16 flexible meeting spaces that can hold up to 2,000 people, a grand ballroom, fitness centre, sauna and an indoor pool. Hilton opened the newly renovated Doubletree by Hilton London Docklands Riverside in the summer (see news, June 28).